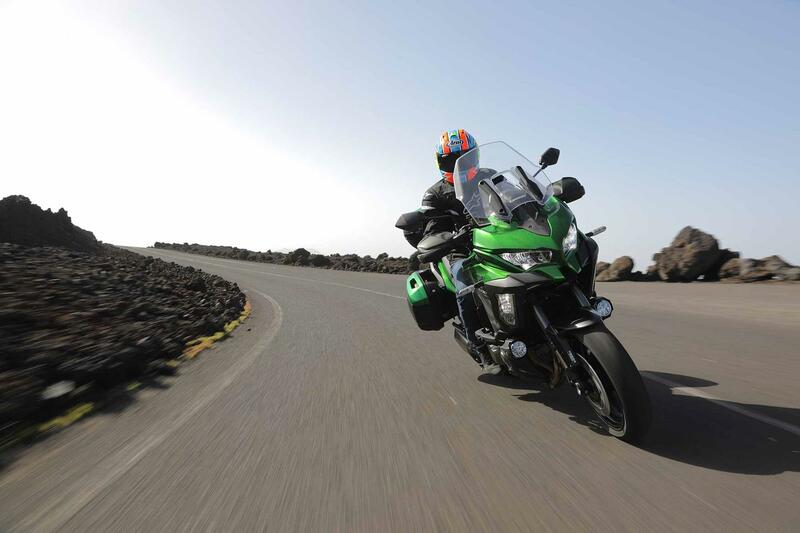 Ever since its release in 2012 the Kawasaki Versys 1000 has hovered under the sports adventure radar, playing second fiddle to the big bhp competition - machines like the BMW S1000XR, Ducati Multistrada and KTM 1290 Super Duke GT. It may not have been big on brute power, or let’s face it, have the looks of its suave rivals, but after its major makeover in 2015 it grew to be a wonderful machine to spend time on - smooth, spacious, fast, comfortable and most importantly, affordable. Equipped with all its bells and whistles the 2019 Versys 1000 SE is BMW and Ducati money, which means the Euros are still the ones to go for if you want the last word in refinement and a dose of superbike twang from your sports adventure bike. 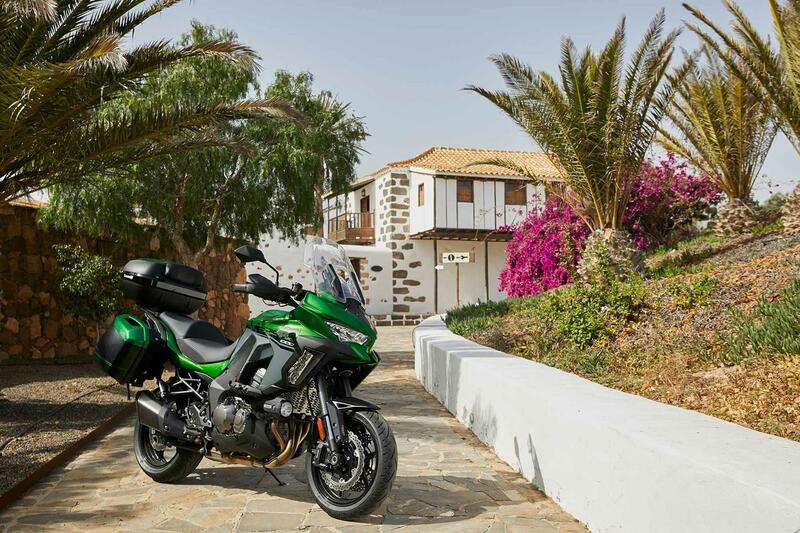 But the Kawasaki has always been about big touring thrills for little money, so save yourself a fortune and go for the still well-equipped base model, because once you’ve stripped away all of that electronic tinsel it’s still a cracker of a motorcycle underneath. 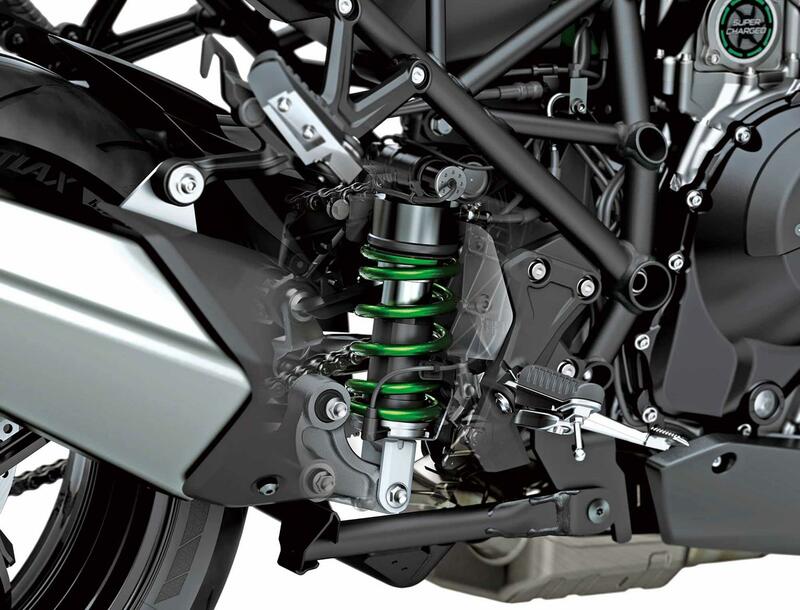 Taken from the ZX-10R SE and tweaked for touring work, the Versys 1000 SE’s Showa fork and shock damping self adjusts every millisecond, depending on parameters like road speed, throttle position, lean angle and thanks to internal stroke sensors, suspension movement, too. Rear preload can be adjusted via the switchgear and ramped up for pillions and luggage, but you’ll still need a spanner for the front (not that you’d need to fiddle). Offering the holy trinity of grip, stability and ride quality, the electronic set-up is hard to fault in all riding conditions, but it lacks the plush damping control of quality manually adjustable suspension. Ride is on the 'springy', slightly under damped side, with the rear end sometimes softening too quickly as you tip into a corner. 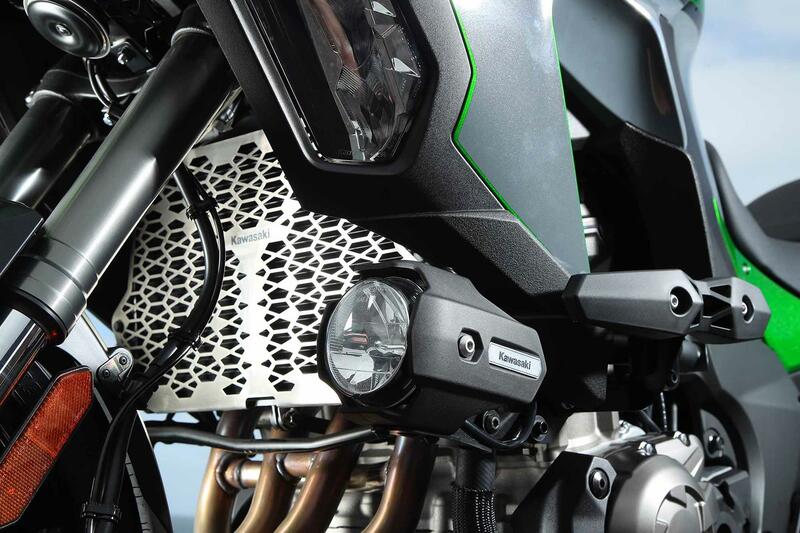 Kawasaki has fitted a bigger, manually adjustable screen to hide behind. It banishes buffeting, but for a tall rider like me the wind noise is high at speed, which is a symptom of tall adventure style bikes. 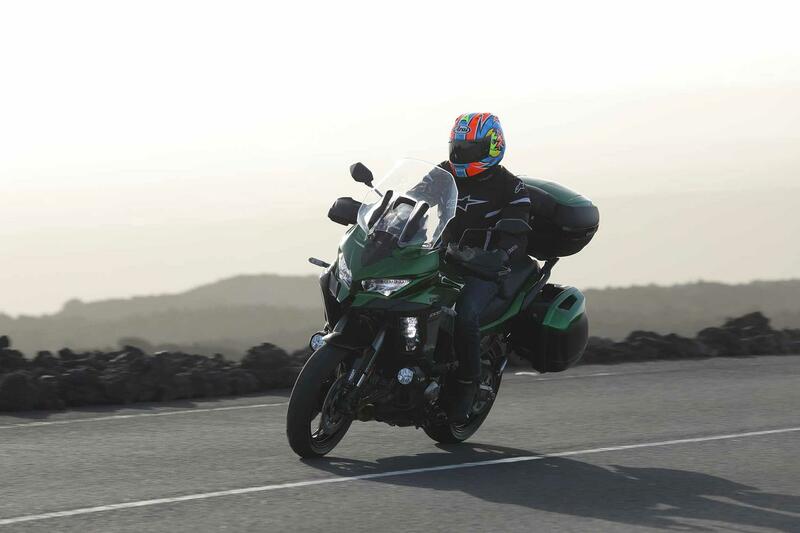 If you want a silent mile muncher, a conventional road bike-shaped tourer, like the Z1000SX is like being in a library by comparison. Like the previous versions, the new Versys 1000 has first class legroom, a natural stretch to the bars and the seat is comfy enough for two to three hour stints. 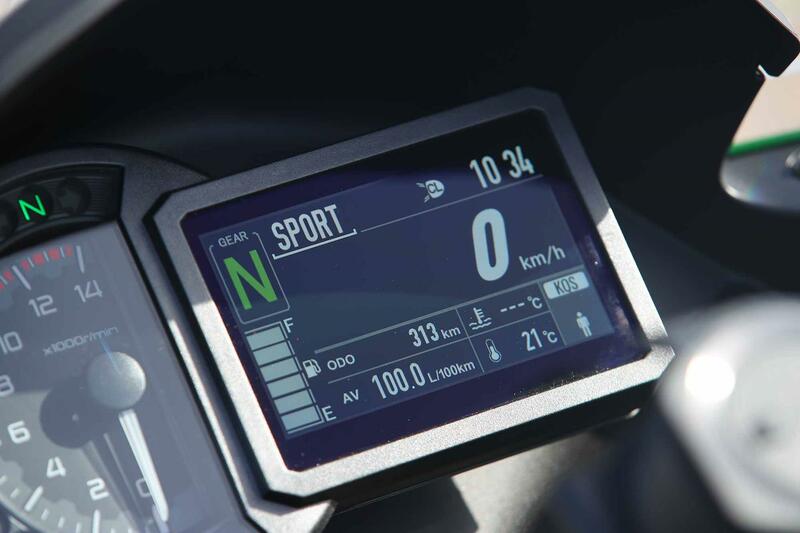 The SE also comes with cruise control, heated grips, a power socket, cornering LEDs 'self-healing' paint and a classy TFT colour dash, packed with lots information, including a completely useless-but-fun lean angle-o-meter. Styling has been tweaked (it still ain’t pretty), but the tubular aluminium chassis has been left alone, which is a good thing because the Versys 1000 is neutral and well balanced, albeit feeling top heavy at first. It’s easy to manage at slow speeds, once you’re used to its weight and doesn’t get flustered, even when you’re pushing outside its comfort zone. Kawasaki says the new rear suspension link gives a more controlled ride, but it’s hard to feel the difference in isolation. New radial-mount monobloc front calipers, taken from the Z1000, are packed with power and feel, although the rear is slightly weak for a heavy machine. The idea is that as you ride along, the bike is constantly adapting to road and riding conditions in real time and continually adjusting the damping to suit. It even takes deceleration into account to prevent the pitching that occurs under heavy braking. To achieve this there are built-in stroke sensors on the fork and rear shock. These provide a stream of information about stroke speed and compression to the KECS’s ECU once every millisecond. At the same time, the bike’s IMU (which senses acceleration, deceleration and lean angle) and the FI ECU (which knows the vehicle’s speed) send signals every 10 milliseconds. The KECS ECU calculates how to adjust the ride accordingly and transmits a signal to the solenoids in the suspension units. From here it gets really interesting. Unlike other electronic suspension systems that use stepper motors or pilot valves to adjust damping, the Showa system uses single-stage direct valve actuation. This adjusts the valves much faster than other systems so the damping adjusts much quicker. 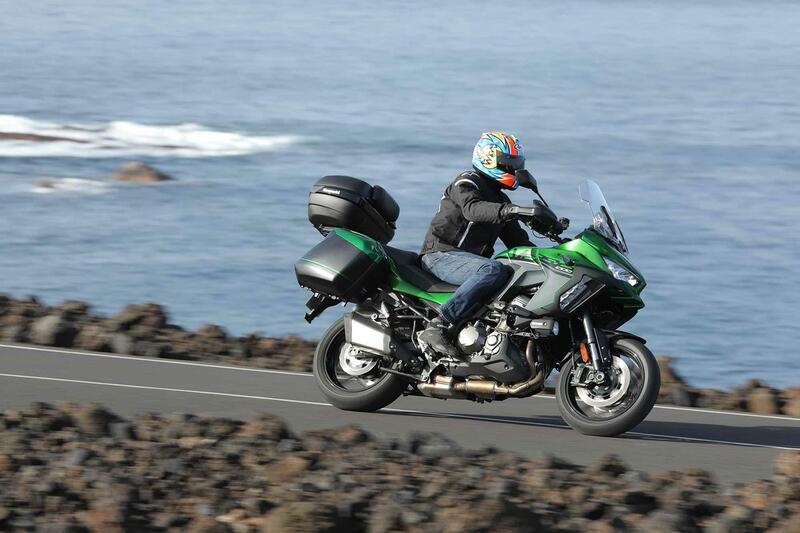 Kawasaki say this gives the bike a more natural feel and ‘superior riding comfort’. The base damping settings are according to the chosen riding mode (Road, Sport or Rain) and the semi-active system makes adjustments to these base settings as you ride along. There’s also a manual mode allowing you to fine tune things. In addition, you can also adjust preload between three standard settings: Rider Only, Rider with Luggage and Rider with Passenger and Luggage. Each of these can be fine-tuned as you ride in case you make a stop for a big lunch or stock the panniers full of gifts from Marble Planet. A new full ride-by-wire twist grip and electronic throttle valves facilitate cruise control and links into the IMU-backed electronic rider aids. The good news is the throttle is as polished as ever with no nasty jolts at low revs and a nicely weighted twistgrip action. The 118bhp, 1043cc motor itself remains unchanged and like most inline fours, isn’t big on character, but the exhaust and airbox have a nice bark about them when you’re wringing the throttle. The Kawasaki doesn’t have the same kind of neck-jarring acceleration you get on an BMW S1000XR, or the lazy-geared grunt of the Ducati Multistrada and KTM Super Duke GT V-twins, but for normal riding and the occasional spirited charge there’s more than enough poke to play with. Owners may point to a slight lack of performance in the previous models, but their dependability is never in question. One of the charms of the original Versys 1000 was its affordability and while the all singing SE is big money the standard machine offers more bang for your buck. It’s lack of cornering lights is the easiest way to tell it from the SE, it doesn’t have such a tasty electronic spec and sits on conventional KYB suspension but it still comes with an adjustable screen, LED headlights, cruise control, IMU controlled TC/ABS and power modes. 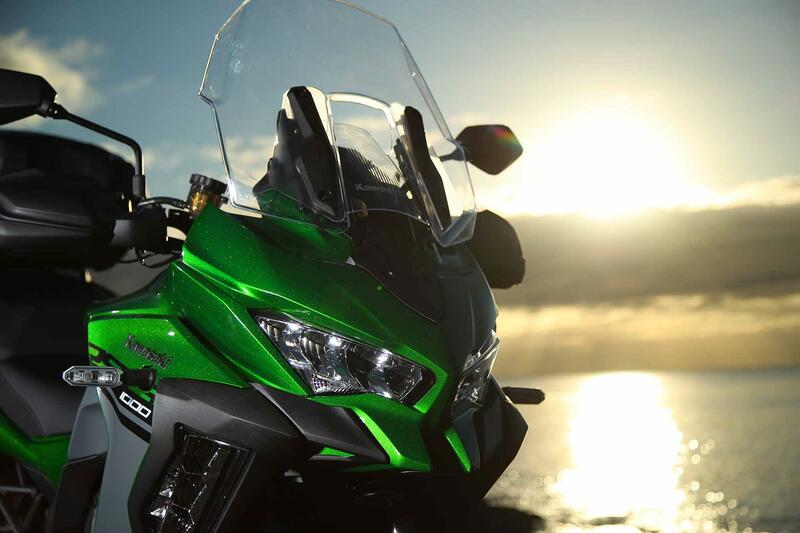 Just like the best of its European rivals, the new Versys 1000 has lean sensitive traction/wheelie control and ABS and four riding modes: Rain, Road, Sport and a custom mix and match Rider option. The new quickshifter works well under hard engine loads, but is on the slow side at short-shifting speeds and the autoblipper action can often be clunky (with lots of springy play in the gear lever), so it’s kinder on the drivetrain to use the clutch and rev-match in the normal way. 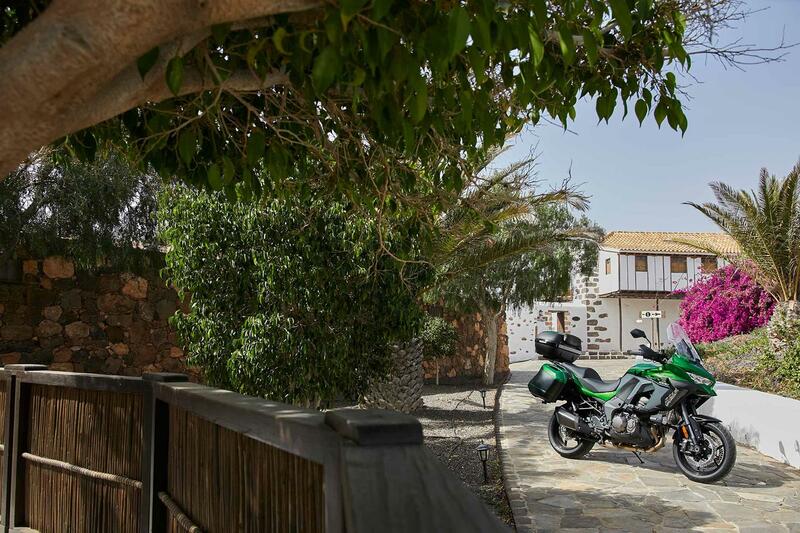 Decent grip from the Bridgestone sport touring T31s and the island’s roads means we never trouble the TC or ABS, but the anti-wheelie will gently chime in to tame throttle-to-the-stop, first and second gear getaways. 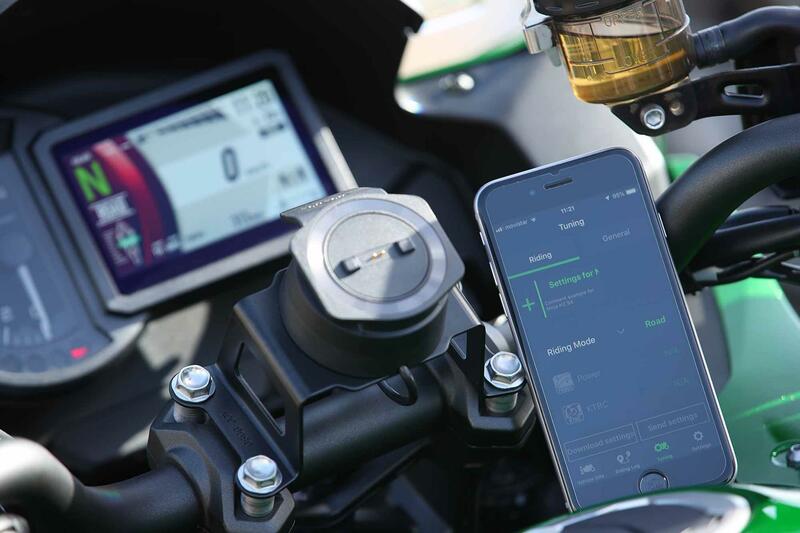 Download Kawasaki’s new free 'Rideology' app to your smartphone (it’s iPhone ready now and coming soon for Android users) and you can adjust the SE’s rider aids before you set-off. Power maps, traction control intervention, suspension damping, rear preload settings, the quickshifter and dash display settings can all be set remotely and the app also has a datalogging function, to keep you amused. It all works, but it’s a bit of a gimmick you’re unlikely to use once the novelty has worn off. There’s also a SE Tourer Plus version, with 28 litre panniers and inner bags, or the SE Grand Tourer (like the one in the pictures), which gains a tank pad, a 12v socket, a 27 litre top box with back rest pad, GPS bracket and frame protectors. 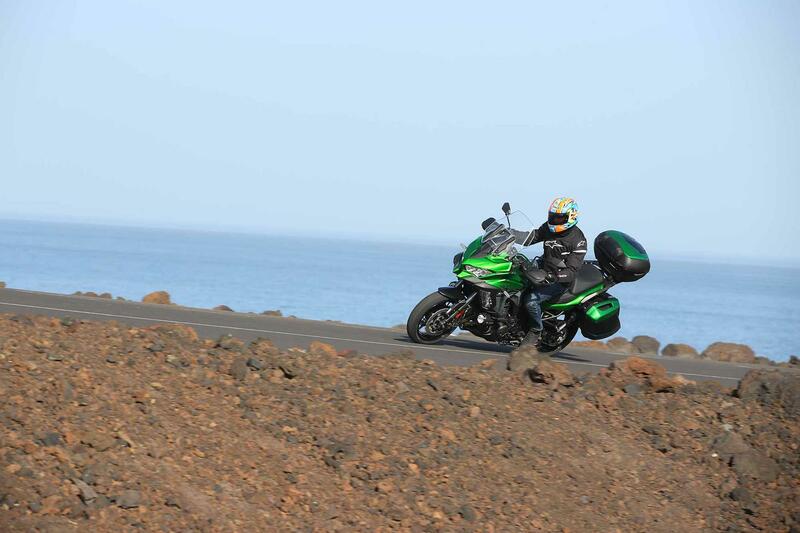 2012: Original Versys 1000 launched with Z1000-based motor, quirky styling and dual purpose tyres. Great to ride and stonking value. 2015: Major update with new styling, engine upgrades (up 2bhp to 118bhp), a slipper clutch, road tyres, traction control, and an 11kg weight increase (mainly from a sturdier subframe to take extra load). 2019: Facelift: full ride by wire, cornering ABS and traction control, riding modes, cruise control, a bigger screen and styling upgrades. SE model has electronic suspension, heated grips, colour TFT screen, a ‘Rideology’ app and a host of minor mechanical and electronic upgrades. 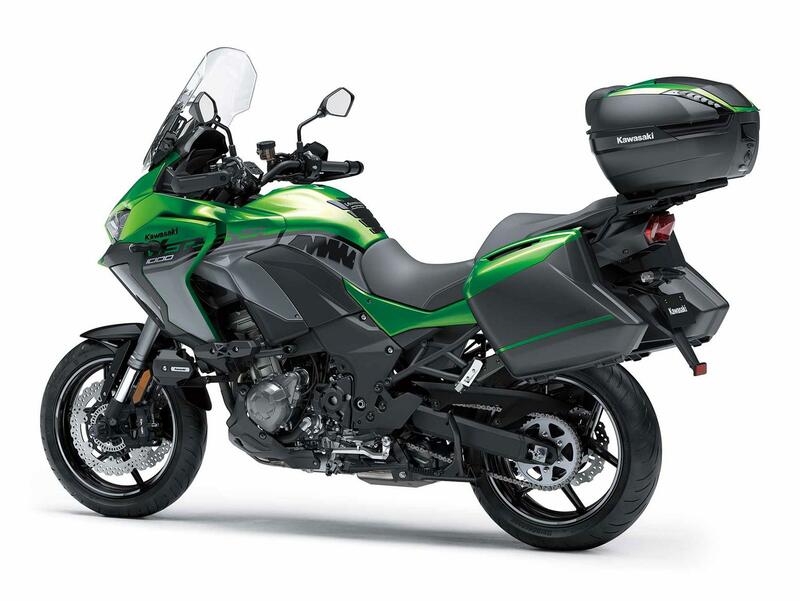 No owners have yet reviewed the KAWASAKI VERSYS 1000 SE (2019-on).